Beniamin Isaakovich Poylin was born on September 12, 1919 in Shargorod, Ukraine. His father was labeled as a “NEPman” (businessman) and the family was left impoverished. 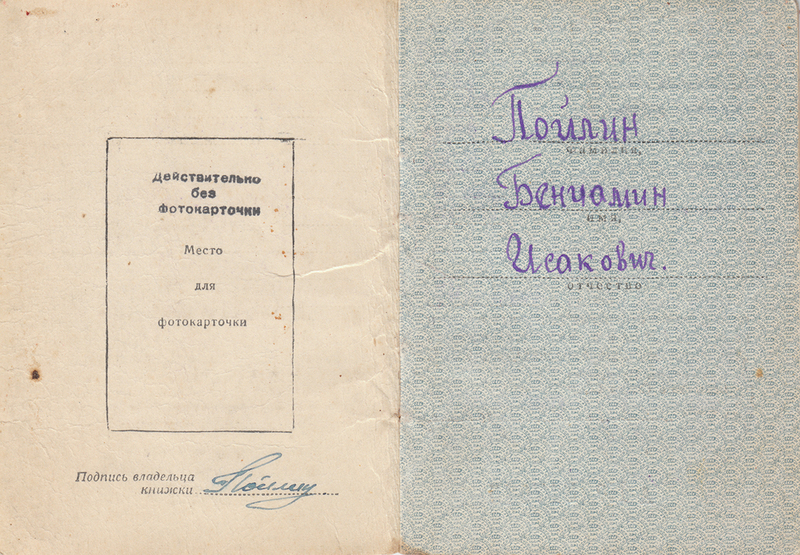 At the age of 13 Poylin moved to Moscow alone. 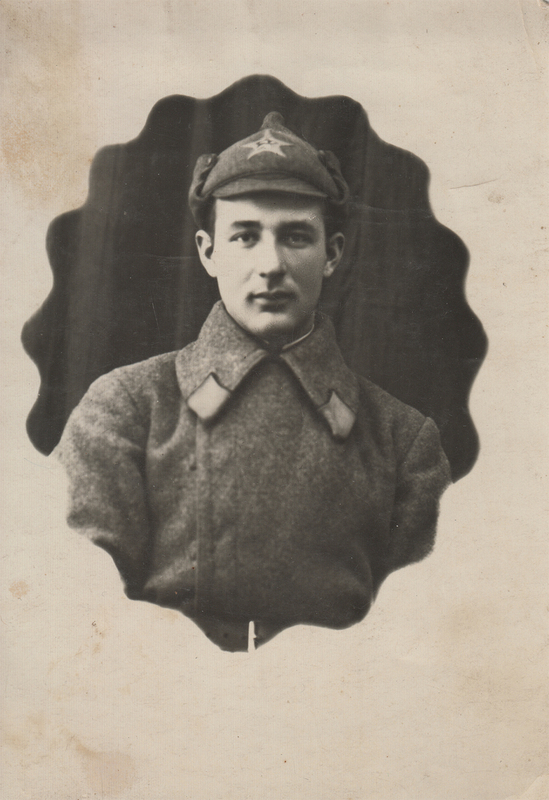 During the war he participated in the Defense of Moscow, fought in the North Caucasus, in the Battle of Kursk, and crossed Western Ukraine and Poland. 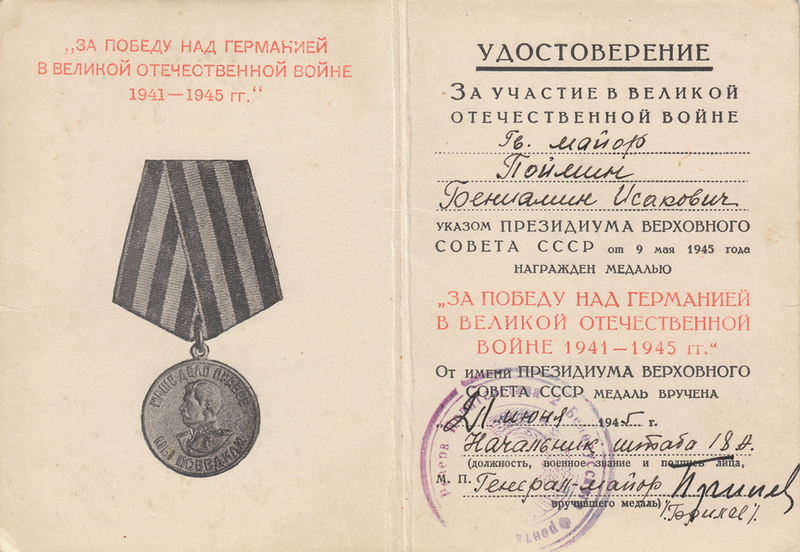 Among his six awards, Poylin received the Order of the Red Banner. Immigrated to USA in 1993. The son of a NEP-man is not accepted in school. Swimming across the Dnieper River and the order to liberate Kiev on November 7. The psychotic state of face-to-face combat. Superior training in the Far East, and Moscow volunteers. Crossing into Poland and beyond: where's the bourgeoisie?